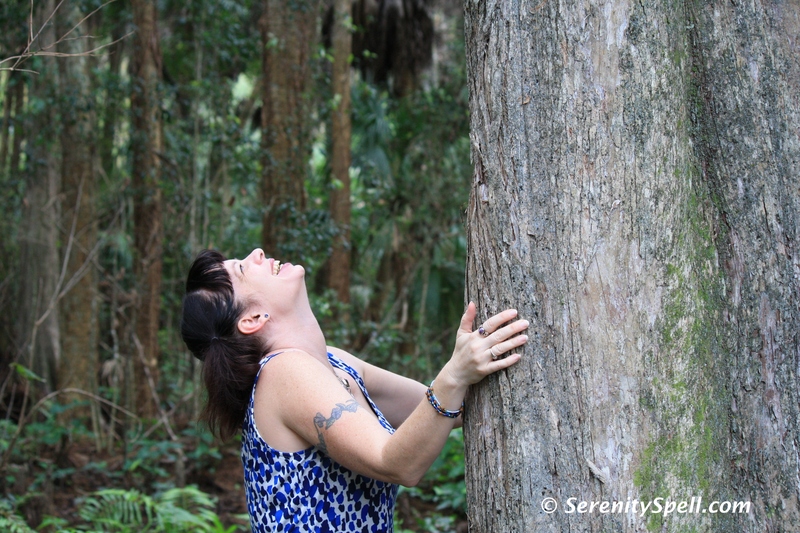 Riverbend Park in Jupiter, Florida, has been by far one of our favorite places to visit. Besides the vastness of the park proper, there’s a great extension of the Florida Trail — accessible through the park (under Indiantown Rd. 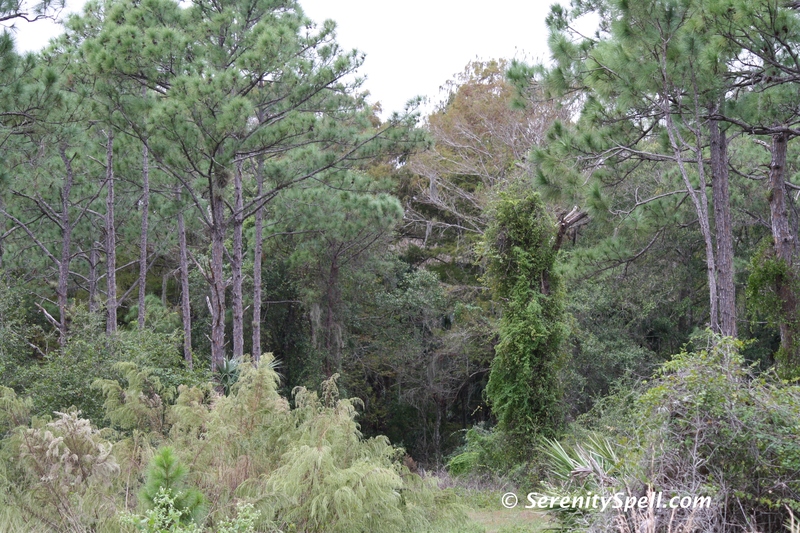 ), or attainable across the street (we jump the fence for more immediate access), near the Loxahatchee River. 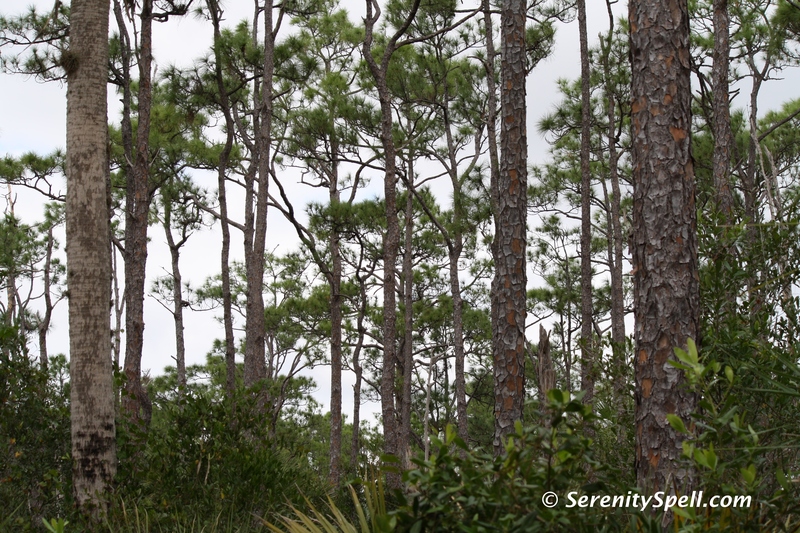 (The Ocean-to-Lake portion of the Florida Trail also runs behind the park, to the south.) 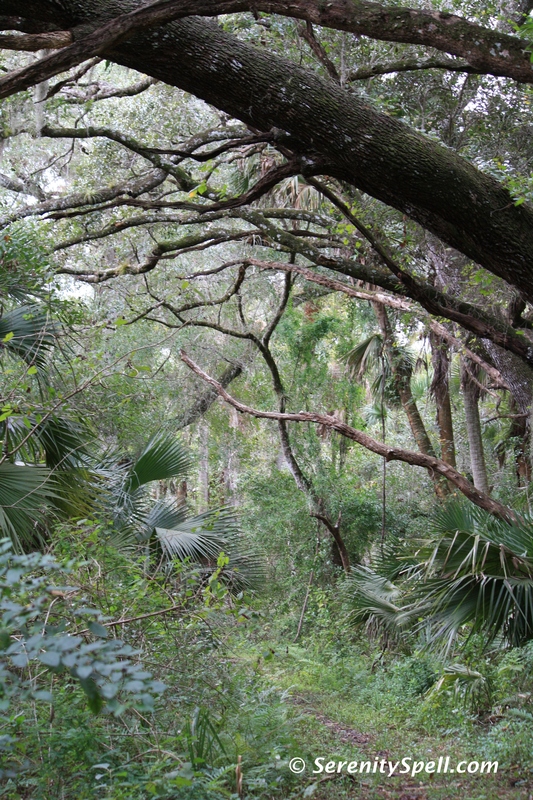 But one of my favorite hikes is along the Old Indiantown Trail, also accessible across the street from Riverbend. It’s absolutely beautiful, replete with a gorgeous watering hole, canopy trees, old Florida growth, prairie, and miles of hiking, that lead into Jonathan Dickinson. Natural Florida at its BEST. It’s rarely traveled — we’ve never encountered another hiker past the watering hole. 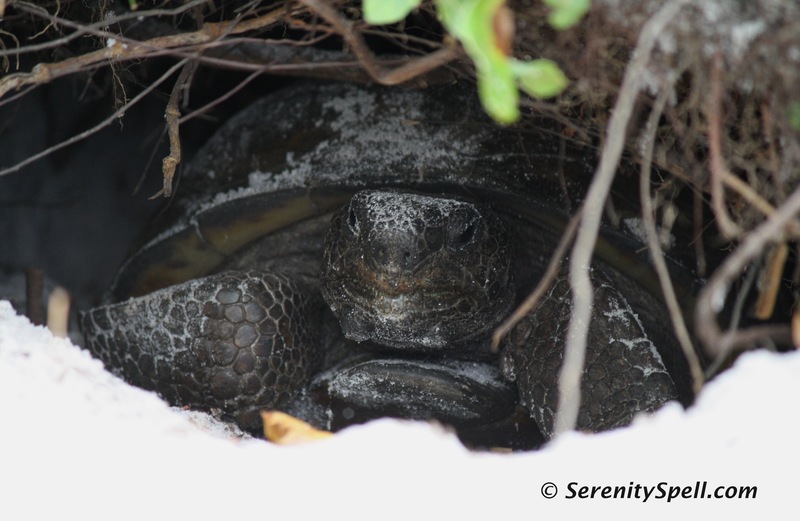 During our most recent trip, the gopher tortoises were exceptionally active — we must have seen at least five in their burrows within as many minutes. One of the oldest living species, the burrowing tortoise is found throughout Florida and southern Georgia, South Carolina, Mississippi, Alabama, and eastern Louisiana. These tortoises dig and live in long burrows in longleaf pine savannas, thus protected from summer heat, winter cold, fire, and predators. Gopher tortoises are essential to the local ecology — their burrows also provide homes for other animals, including indigo snakes, gopher frogs, mice, foxes, skunks, opossums, rabbits, quail, armadillos, burrowing owls, snakes, lizards, frogs, toads, and other invertebrates. Their burrows — abandoned or shared — may be the homes to more than 300 species of animals at one time or another. Pretty amazing; and it’s easy to see how destroying the habitat of the gopher tortoise alters the already fragile ecosystem. Federally protected as a threatened species EXCEPT in Florida, in which it is “under review,” the tortoise’s main threat remains: Habitat loss and destruction. For instance, it wasn’t until 2007, in Florida, that developers were forced *by law* to relocate burrowing tortoises — until then, development could shockingly occur with no thought to the safety of the animals and the destruction of their habitat. 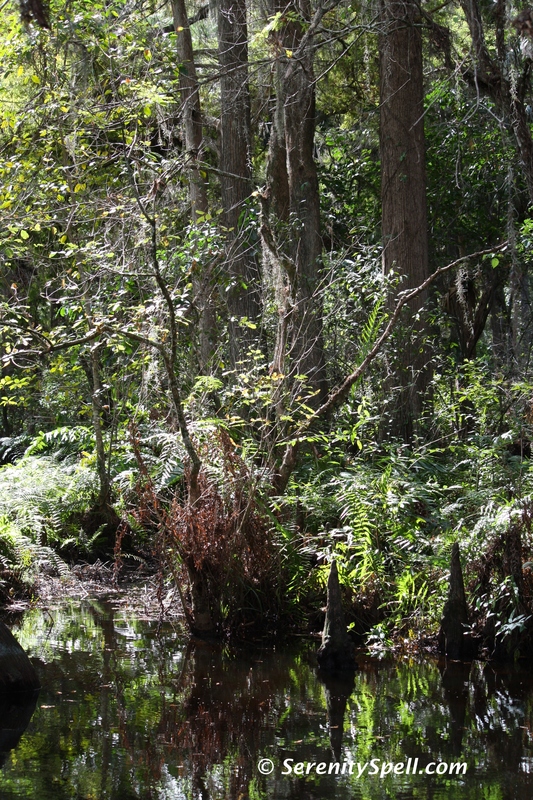 But by far my favorite part of this particular hike was our segue from the trail, into an untouched cypress swamp. The trees were so enormous, that I’d like to think they were saved from the mass logging of so many of Florida’s virgin trees, during the 1920s and ’30s. 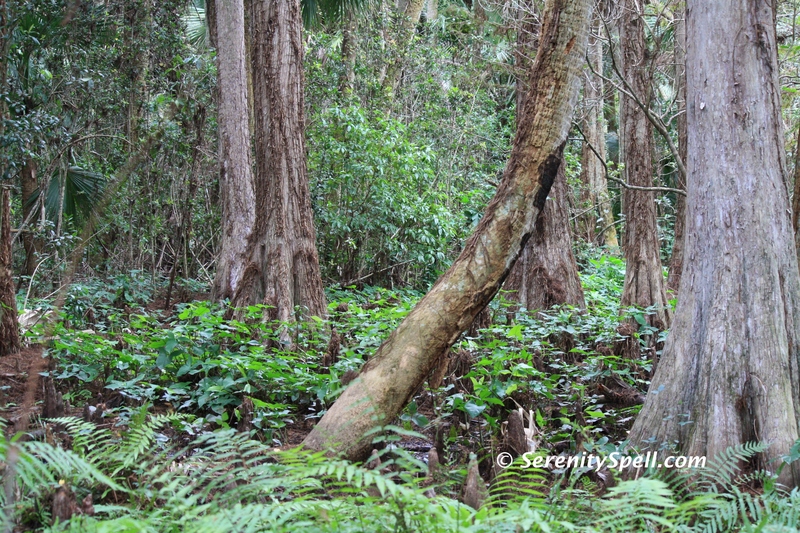 The swamp was vast, secluded, and amazingly peaceful — it was hard to leave. Finding the not-so-small shedded snakeskin not far from the trail (possibly rattlesnake?) was another decent reminder as to why I *always* wear my hiking boots on these trips, regardless of the temperatures.